This weekend we are looking at our recommended reads for Halloween. With little than a week to go, and with half term holidays here in the UK, it is a fantastic chance to check out some reads for this season and hopefully read them over the hols! Today we are focusing on our younger readers (11yrs+), but of course the reads are just as much fun for mature readers too. 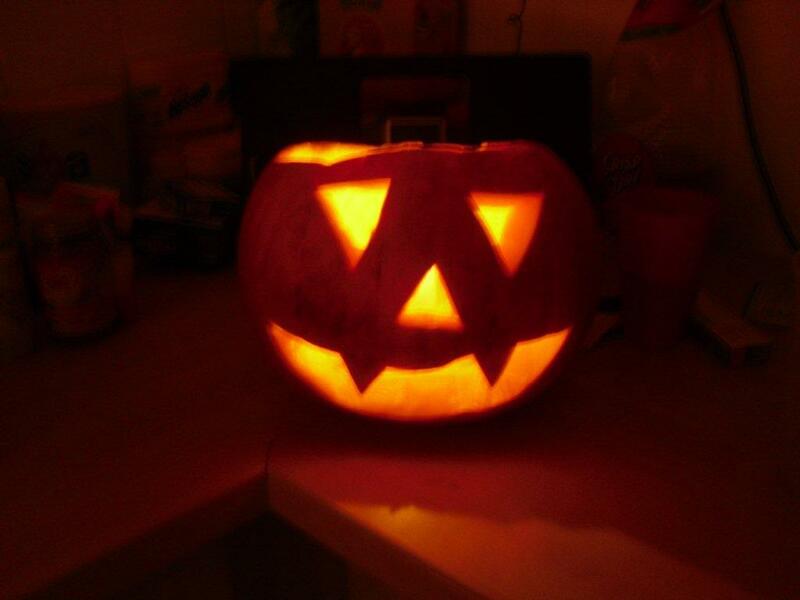 Tomorrow we will be checking out some Halloween horrors for our adult readers (17yrs+). Be sure to come back then! Isis, the daughter of a charlatan psychic, can see ghosts – including that of her dead little sister, Angel. Gray is the son of a UFO-chasing conspiracy theorist. The two teenagers are forced together when their parents start dating. After a reluctant start, a friendship develops and Isis confesses her secret ability to Gray. But when Isis’ mum is inducted into an elite psychic society, run by charismatic Philip Syndal, Isis discovers there are sinister intentions beneath Philip’s charm. She and Gray find themselves in grave danger and Isis is forced to use her considerable powers to save them both. Available at Amazon UK and Amazon US. When Peter joins his archaeologist father in the strange village of Wolfstone, he has no idea what dark secrets the village and its manor house hold. 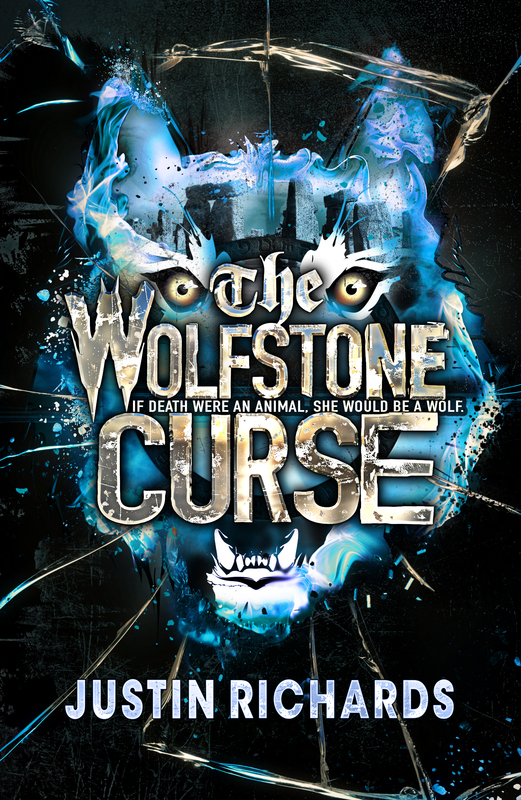 From ancient standing stones, to the genetically engineered Wolfen SS soldiers, he uncovers the real truth of the werewolf myth in this action-packed adventure. The plot is interjected with ‘source documents’, letters and other ‘authentic’ material. “Forget vampires,” he laughed dismissively. 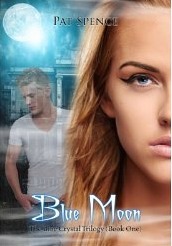 When 17-year old Emily Morgan meets beautiful but strange Theo de Lucis, there is an immediate attraction between them. But what is his secret? What ancient link ties him to Emily? And what is the significance of the Blue Moon Ball? When 20-year-old police recruit Kiera Hudson is posted to the remote town of The Ragged Cove, her life is changed forever. Investigating a series of horrific murders, grave desecrations, and missing persons, Kiera uses her unique ability of seeing, and soon realizes her own life is in danger. When Kiera falls for police officer Luke Bishop, not only are her mind and heart opened to a terrifyingly new world, she comes to suspect that Luke might be involved in the killings. In a race against time to unearth the truth, Kiera must discover the identity of who – or what – is behind the gruesome deaths on her Vampire Shift. Vampire Shift (Keira Hudson series One, #1) is available at Amazon for FREE at the time of writing. (Please be aware prices are subject to change). Check it out at Amazon UK and Amazon US. The latest release, Keira Hudson & the Creeping Men (Keira Hudson series Three, #1) is also now available at Amazon UK and Amazon US. All titles in the Keira Hudson series are mentioned below, with either a link to our review or to reviews on Goodreads. We do intend on reviewing the remaining books in the not so distant future! 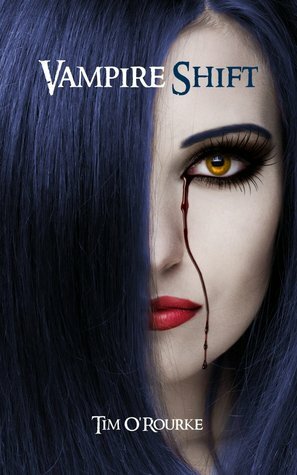 Scary and suspenseful horror romance. A young adult story about a group of four friends who emark on a holiday together to the georgeous countryside of Dartmoor, Devon. Each of them hoping for an adventure, something they will always remember. However, it isn’t long before they get what they want. The group are plagued by noises after hearing the myths and legends of the area. Is it just overactive imaginations or is there a visitor in the spare room who is trying to get their attention? Join the group on a spectacular journey as they discover what Dartmoor has to offer. Amethyst is a witch with extremely evil and powerful parents. Amethyst is terrified that if she don’t stop her parents soon it will be too late, and they will gain control of Golden Dragon City and the Fountain of Magic. Amethyst knows that she has only got until her next birthday to stop them!.Amethyst has to travel through different realms to collect the blood red rubies that she needs to stop them. Using a fun, explosive style, full of new slang and fresh dialogue, WHEREWOLVES is the story of a group of high school seniors, most “military brats”, who are headed for an army-type survival weekend. The underdogs, Jeffrey and Doris, do not want to go as they fear for their safety among the disdain and cruelty of the popular students. Sergeant Tim O’Sullivan, their teacher, as well as their dysfunctional parents pressure them into going, but it is an unforgivable act by their peers that propels the pair to go. Likewise, Elie, a student resented because of his Arab roots, is even more determined to prove himself this weekend. In the background, a news report cautions of a wanted couple with alleged super-human strength supposedly brought on by a new drug on the streets. In the woods, the students hike, hunt, camp, and soon act in unity as the forest brings them closer together. But does it? O’Sullivan leaves them alone for the night. The students bond, chant, tell campfire tales, and quickly lose their fears and inhibitions. HOO-AH! Though sexual tensions are high, it soon turns to violence and everything quickly turns sour. When the kids start disappearing one after the other, the remaining begin to unwittingly “act like the natives” carving spears, ready to face whatever is out there. What has gotten into them? Amid the blood-curdling growls and the gruesome deaths, the story’s underlying layers are revealed. We see how misconceptions, prejudice, greed, fear, and hatred bring out the worst and best in them. What is out there? 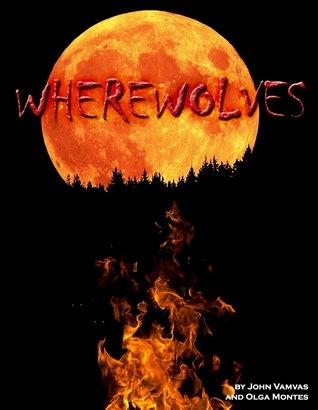 Can it really be werewolves? For more great reads and best sellers in the horror genre for teens and young adults please visit Amazon UK or Amazon US. And be sure to come back tomorrow for our recommended reads for mature/adult readers, 17yrs+! If you are seeking an exciting paranormal read which includes everything from murder, mayhem and ghosts to an ancient evil and UFO hunters you cannot do better than read this adventure filled novel by Emily Diamand, which will appeal to young readers and adults alike. Caroline has also reviewed this book and if you would like to have a look at her review too click on the link at the end of this post. In Ways to See a Ghost, Gray, the teenage son of a UFO conspiracy theorist and Isis, daughter of a charlatan psychic, are thrown together when their parents start dating, after meeting at the scene of a strange death. Both teenagers come from broken homes and whilst Isis lives with her mum, who has parted from her dad some time ago, Gray, whose mum has custody, visits his dad regularly and accompanies him on UFO seeking missions. After a rocky start, Isis and Gray form a close friendship and uncover the sinister intentions of the charismatic Philip Syndal, the head of an elite psychic society that Isis’ mum has been inducted into. The tale unfolds into one of great intrigue and danger, involving a series of bizarre and ever increasing sinister events, where Isis’ sanity and even her life is under threat. Unlike her mother Isis can really see ghosts, an ability which manifested itself after her little sister Angel died in a car accident. Indeed, Angel’s ghost plays an important role in the story. Isis has never revealed Angel’s existence to her mother for fear that it could traumatize her. The book is full of strange and sometimes horrific events. Indeed, its opening scene is in the middle of a wheat field where Gray and his dad witness unexplained lights in the sky, which create a series of crop circles which Gray manages to capture on film. There are also references to the many ghosts who seek to communicate with Isis, who is a powerful, albeit unwilling psychic. I enjoyed the descriptions of the paranormal events, which were very vivid and swept me up into the story. As the book progresses, we learn of a connection between the lights seen by Gray and his father and ghosts and events become more and more terrifying before the plot unravels. I enjoyed all of the characters in the book. Gray and Isis, both strong and likeable characters, form a close bond and their friendship deepens as the book progresses. Whilst Isis is sceptical of the research carried out by Gray’s father to prove the existence of UFOs, Gray is equally sceptical of Isis’ claim that she can see ghosts, until she gives him proof that Angel exists. I loved the character of Angel, who, even as a ghost is a typical precocious and playful three year old, often exasperating her older sister. The way Isis, Gray and Angel interact and work together to try and defeat the evil which manifests itself is one of the most satisfying aspects of the novel. Other characters include Cally, Isis’ mum and Gil, Gray’s dad, who are both a little eccentric, playing their respective parts as a fake psychic and a committed UFO hunter to the full. Gil is a bit of a ‘Jack the lad’ who usually plays the field, but has fallen hard for Cally and Cally, who has been in a dark place since Angel’s death and the breakdown of her marriage, finds that loving Gil has given her a new lease of life.There is also a ghost called Mandeville, who has a key role as the tale unfolds, and Phillip Syndal who runs the elite psychic society, who has many secrets and harbours great evil. A fun character, Stu, a friend of Gil, known as ‘The Keeper’, who holds a lot of information on worldwide conspiracy theories, provides some humour. The novel covers the usual tensions between parents and teenagers and I found it amusing that the reader sees their parents’ relationship through the eyes of their children, who both find actions such as kissing and hand holding yuk! Some chapters are told in the first person from Gray’s point of view, looking back on events and others in the third person. This is effective in that we are able to view events from multiple perspectives and time frames and adds depth to the story. There is also a mystery person interrogating Gray in his chapters and the author does not reveal to us who this is, which I find fascinating and I am hoping to find this out in the subsequent novel. The book also has an environmental subtext throughout, in its references to the harm man has inflicted on the natural environment. 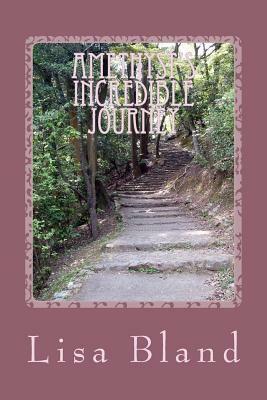 I recommend this book to young and adult readers who enjoy exciting con temporary tales of the paranormal. A copy of this book was given to me by the publisher for the purpose of an honest and fair review. In Ways to See a Ghost two teenagers, Isis and Gray, are brought together during strange circumstances, in which thereafter their parents start dating. In many ways, as well as being a paranormal adventure, this book is a fun read, with Gray’s father, Gil, believing in many different conspiracies relating to UFO’s and the Government, and Isis’ mother, Cal, working as a psychic! However, Isis can see the ghost of her dead, little sister, Angel, and has been able to do so since the terrible ordeal that took her. Isis has never been able to tell anybody that she can see her sister, but this is all about to change since she has formed a friendship with Gray. The drama heightens when Cal, Isis’ mum, joins the Welkin Psychic Society where the intentions of its leader, Philip Syndal is not as they seem. Isis and Gray begin to piece the jigsaw together but will their parents believe them? Will they be able to prevent the danger that lies around the corner? The reader instantly feels for Isis. She has lost her little sister in a terrible accident, her mother has taken a downturn because of the distressing situation and to make matters worse, Isis can see her sisters ghost and feels that she cannot tell anyone for fear of being labelled as crazy and/or creating more problems for her mother. In addition to this, Isis doesn’t support her mother’s psychic work and this causes a rift between the two at times. It was Cal’s psychic work that brought Isis and Gray to meet. Cal was visiting a client, Sondra, for a psychic meeting to try and work out where Sondra’s boyfriend, Norman Welkin, was. Meanwhile Gil, Gray’s dad, worked as a gardener for Norman and had taken Gray with him. Whilst in the garden, Gray came across Isis, sitting on a bench, waiting for her mum. Words were exchanged between them before the raised voices of Sondra and Cal could be heard. Trying to get back to her mum, Gray showed Isis a short cut through the garden, when they discovered the body of Norman Welkin. This discovery really opens the story out as it was confirmed that Norman had died from natural causes. However, Gil with his theories disbelieves this. How can a man be found frozen in Spring as the temperture begins to rise? Gil automatically believes that there is a cover up and that the circumstances are suspicious. Meanwhile, Cal is invited to join the psychic society that Norman had set up. Cal, although dating Gil at this point, is taken in by Philip Syndal, the society’s leader, and worships the ground he walks on. Isis sees through Philip’s charm and between Angel’s ghost, Isis and Gray they begin to work out why Philip is so interested in Cal! Despite Gray’s honest and sarcastic side, he also shows empathy towards Iris and helps her in times of need when no one else will or can. This is quite a sweet side to him, although I bet he’d hate me to say that! Although both have their own reasons for being isolated from the other kids, Isis and Gray can, overtime, be sympathetic towards each others differences. Isis didn’t want to open up to Gray as she feared his reaction would be to laugh and make fun of her. And yet as they become closer, Isis does decide to open up to Gray, who ,soon enough, has reason to believe her, making him the only one aware of the full story – Isis and Cal’s angle and his father’s UFO theory. 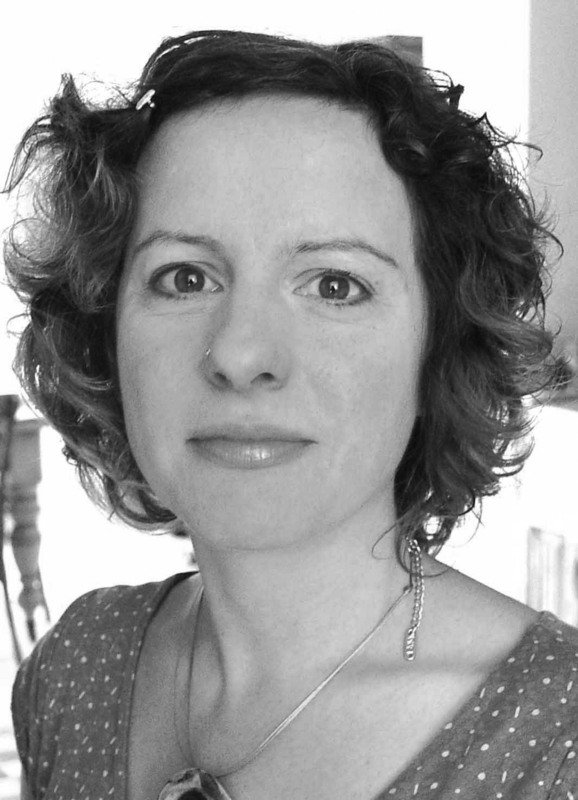 Emily Diamand has approached both characters with the reader feeling quite sorry for them as well as making it fun with Gil and Cal at complete opposite ends. It’s surprising that they got together! The story and characters are exciting and interesting. And it is great how it can be witty and funny one moment, scary and creepy another and then dramatic and sad in other parts. I really liked two of the supporting characters, Mandeville and Stu The Keeper! Mandeville is a ghost that regularly reaches out to Isis. Even though she really doesn’t want him to, I like the idea that she can see him and other ghosts and the settings in which she can see them at times is brilliant. And Stu The Keeper is a great, fun character. He is a friend of Gil’s who is also very serious about conspiracy theories – even moreso than Gil. He visits Gil from time to time with his anorak on to disguise himself, carrying his laptop that has The Database saved and between them they cross reference their findings and discuss in secret what they believe is happening. It is quite hilarious at times! Whilst Ways to See a Ghost is planned for release next month, July 2013, there is a sequel planned for 2014. It would be great to see how Isis and Gray’s relationship grows further and leaves me wondering what adventure they will be going on next! Look out for Tina’s review of Ways to See a Ghost over the coming weeks! 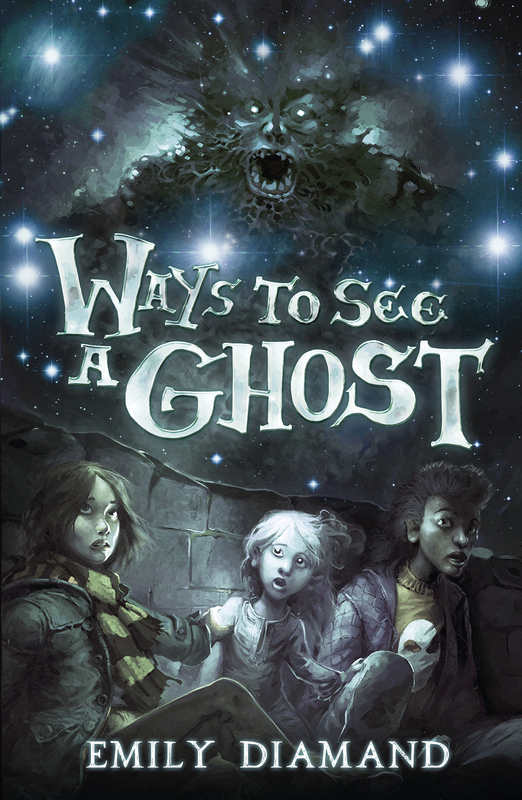 Ways to See A Ghost was received gratefully from Templar Publishing in return for an honest and fair review.